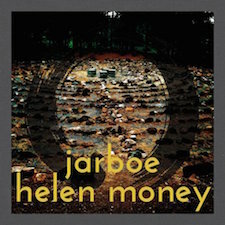 Ex-Swans vocalist and keyboardist Jarboe has joined forces with experimental cellist Helen Money to create a self-titled EP, Jarboe & Helen Money. Money (also known as Alison Chesley) is not your typical rocker, but her style of playing is often referred to as "doom" since it has a dark, doom metal flavour to it. She has also contributed to albums by metal artists, including Megadeth and Disturbed. Jarboe and Helen Money begin their EP with "For My Father". A slow song, it starts with a dark, looming cello. The vocals from Jarboe are distorted, and she is difficult to understand in parts. The lyrics contain themes of justice and inequality. 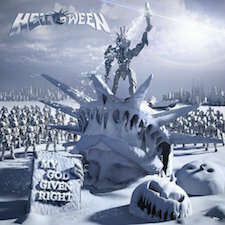 There is heavy use of an echoing effect on the vocals, and the song's final words "embrace amnesty" echo and bleed into the next track. "My Enemy My Friend" is an instrumental in which Helen Money embraces the plucking of the cello, which is prominent in the beginning. A piano and the use of the bow--layered with the plucking--join later. There is also a lot of use of electronic distortion. This unorthodox style also comes up in the pieces "Wired" and "Truth". The former is fuzzy and distorted with piano and a dissonant cello. It is mostly an instrumental with only some sung "oohs" and "ahhs." "Truth" begins with breathy "ahhs" and piano, and the strumming of the cello is prevalent. This one has words--repeated lyrics about "the moon and the sun and the truth." "Hello Mr. Blue" is the pinnacle of Jarboe & Helen Money. The intro features heavy bass-like plucking of the cello, and a low "woah" begins that permeates the song for the duration. A bowed cello kicks in with Jarboe's singing of the lyrics. The vocals are clear, and the lyrics are the most memorable from the EP. Distortion of the music, along with sheer heaviness in the cello, gives "Hello Mr. Blue" a fuzzy, grungy rock sound. The song is interesting in a good way, but the grunts at the very end are a little off-putting. The final track from Jarboe & Helen Money is "Every Confidence" which relies heavily on the electronic distortion. It contains a lot of what might be considered "noise," but with some traditional bow played cello notes mixed in. Jarboe and Helen Money's collaborative debut is not metal, nor does it pretend to be. Singer Jarboe's roots are in rock music, and Helen Money's cello playing definitely has a doom metal intensity to it. The song "Hello Mr. Blue" is certainly worth checking out, and I would absolutely love to hear it in a horror movie or something similar. The union of Jarboe and Helen Money is an unconventional one, but those who are looking for something highly experimental and strangely dark may very well appreciate it. 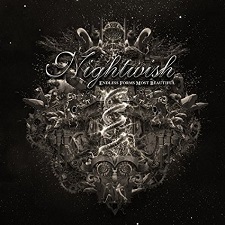 Finnish symphonic metal band Nightwish has put forth their eighth studio album, Endless Forms Most Beautiful, which is the follow-up to 2011's Imaginaerum. It is the first to feature new singer Floor Jansen, who replaced Anette Olzon, the vocalist who left the band during the Imaginaerum World Tour in 2012. It is also the first to not feature Nightwish's original drummer, Jukka Nevalainen, who is taking a temporary break. Endless Forms Most Beautiful is a loose concept album, largely inspired by naturalist Charles Darwin and his 1859 book On the Origin of Species. 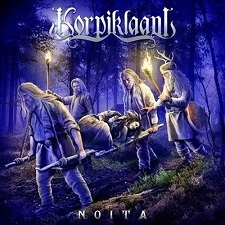 This album contrasts with Nightwish's previous work, Imaginaerum, as its lyrical themes are based on science and reason, versus fantasy and imagination. 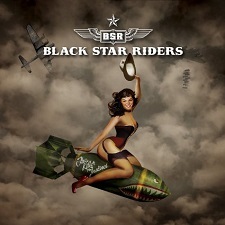 The album's opening track is "Shudder Before the Beautiful". It begins with narration by famed evolutionary biologist Richard Dawkins. As he finishes talking, shrieking orchestral strings hit and go straight into hard and heavy symphonic metal. Choral chants of "aaahhh" fill the first part of the song. The vocals from newcomer Floor Jansen are quite theatrical, especially during the chorus. The keyboards from bandleader Tuomas Holopainen complement the ultra metal guitar solo from Emppu Vuorinen very well. "Weak Fantasy" has a big sound in the same vein as the opener, with even more use of the choral chanting. It starts out heavy, softens for the first verse, and gets heavier for the chorus. The lyrics of "Behold the crown of a heavenly spy / Forged in blood of those who defy / Kiss the ring, praise and sing / He loves you dwelling in fear and sin," are critical of religion and superstition. I love the edgy attitude in Floor's vocals on this song, which gives it a more raw, emotional appeal. Bassist Marco Hietala contributes vocals in last half of song, creating an interesting contrast to the feminine soprano vocals of Floor. The lead single from Endless Forms Most Beautiful is "Élan". Its intro is heavy on the tin whistle and uilleann pipes, giving it a distinctly Irish sound and making it really stand out. Floor's vocals are delicate and crisp in the verses, but fuller and more dramatic for the chorus. "Élan" is not the heaviest track on the album, but it does get more of a rock edge in the chorus and the bridge. Its lyrics are about living life to the fullest and not being afraid to have a bit of adventure. Titular "Endless Forms Most Beautiful", which is buried in the middle of the album, boasts some great metal guitar riffs right before the first verse. It is one of the heaviest and hardest rocking songs on Endless Forms Most Beautiful. The lyrics contain nature imagery and themes, and the backing vocals accompanied by a choir give the chorus a full and overflowing sound. The album's grand finale is aptly titled "The Greatest Show on Earth", and shares its name with a Richard Dawkins book. It is made up of five distinct movements of sorts, and at about 25 minutes, it takes up the last third of the album. The part named "Four Point Six" opens with a piano and string arrangement. Two minutes into the piece, there is the sound of a thunderstorm along with some symphonic moments. Floor sings very briefly, and her vocals are in an operatic range on this one. It ends with a reading from Dawkins about understanding the universe. Part II, called "Life," is hard and heavy metal with the Irish flavor of uilleann pipes. Floor sings in her lower register for the verses, playing a darker, scarier role. The chorus has the more common theatrical sound. "Life" has the standard verse-chorus-verse format, and at 5:05, it could be a standalone track. The next part, "The Toolmaker," is the longest movement and could also be a standalone song as well. It begins with monkey and jungle type sounds, along with some percussion. It features vocals from Hietala again, and this time is style is uniquely abrasive--kind of like a Billy Corgan-meets-Peter Garrett of Midnight Oil sort of thing. The vocals are odd at first, but they sound pretty good when Floor joins him. "The Toolmaker" has some fantastic guitar riffs and all the symphonic bombast you would expect from Nightwish. "The Understanding" is slow and predominately features tin whistle and piano. There is no singing, only Richard Dawkins discussing, "We privileged few, who won the lottery of birth against all odds"--how the unborn had potential, but we living ones are the ones who made it. The final part of "The Greatest Show on Earth" is "Sea-Worm Driftwood". It consists of the sounds of ocean waves and Dawkins quoting Charles Darwin and speaking of the beauty in evolution--"There is grandeur in this view of life, with its several powers, having been originally breathed into a few forms or into one. And that whilst this planet has gone cycling on according to the fixed law of gravity, from so simple a beginning endless forms most beautiful and most wonderful have been, and are being, evolved." I believe Dawkins has used Darwin's words to perfectly describe this latest album from an evolving band with a beautiful sound.